Volkswagen vehicles are known for their engaging performance and comfortable, upscale interiors, and the 2018 Volkswagen Passat is no different. Shoppers near Irving and Grand Prairie who are in the market for a new midsize car may have already made note of the Passat’s spacious seating, smooth ride and safety features. At Metro VW, we’ve compiled this car review to help you delve deeper into the specs and features of the 2018 VW Passat, so you can decide if it’s right for your daily drive through Dallas and Grapevine! The VW Passat offers a new base engine this year: a 2.0L turbocharged I-4, which offers 174 horsepower and 184 lb-ft of torque for a surprisingly lively ride. If you want a more exhilarating rush, pick the available 3.6L V-6, with 280 horses and 258 lb-ft of torque on tap. You can customize your drive with the standard six-speed Tiptronic® transmission, letting you seamlessly shift from automatic to manual shifting—and even switch over to Sport mode. It works well in conjunction with the available paddle shifters, which let you shift gears without ever taking your hands off the wheel. Having earned a NHTSA 5-Star Overall Safety Rating, the 2018 VW Passat is engineered with your security in mind. It’s built with a rigid safety cage to deflect crash energy away from all cabin occupants. In addition to that, you’ll get an Automatic Post-Collision Braking System, to help bring your car to a full stop after an accident. The Passat offers a range of available driver-assist features. You can keep a set distance from the car ahead of you with Adaptive Cruise Control, helping your car speed up or slow down to keep pace automatically. And if you start to change lanes while a car is in your blind spot, you can get a visual warning in your side mirror with Blind Spot Monitor. When it comes to finding room in the 2018 Passat, there’s not one bad seat in the house. Front-row riders will find 42.4 inches of legroom, enough to accommodate even very tall drivers and passengers. The rear seats are spacious, too, offering 39.1 inches of legroom. That’s plenty to keep most adults comfortable on longer rides. The Passat’s expansive trunk also helps it stand out in the vehicle class. With nearly 16 cubic feet of cargo room, it can fit more than a dozen shopping bags—and it’ll hold your luggage or golf clubs, too. You’ll find all kinds of easy-access cabin storage solutions as well, like a center console bin and door storage pockets. When you’re excited about the 2018 Volkswagen Passat, reading a review isn’t quite enough. 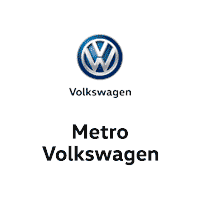 You’ll need to get behind the wheel yourself—and you can do so by scheduling a test drive at Metro VW. Stop by and take the Passat for a spin to see if it drives just the way you thought it would! Our team is standing by to help drivers from across Irving, Grand Prairie, Grapevine and Dallas learn more about the Passat and our other exceptional VW models.